I’ve nearly bought a new real-life car. However, for reasons I won’t detail here, I’m waiting for the dealer to fully disclose any and all deviations from OEM on a very low-mileage late-model vehicle before I drive it home. But! Even though I don’t have a nearly-new BMW in my driveway, I have a best-of Matchbox BMW 1M on the coffee table. 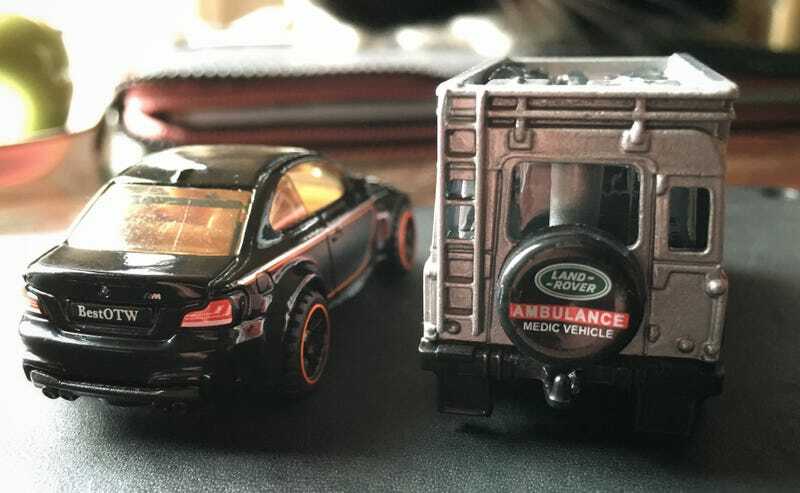 Plus, a Land Rover ambulance.